Lleyton Hewitt’s resurgent summer continued at the BB&T Atlanta Open with a straight-set dismissal of Edouard Roger-Vasselin. The Australian was in solid control over the Frenchman with a 6-4, 6-4 victory. 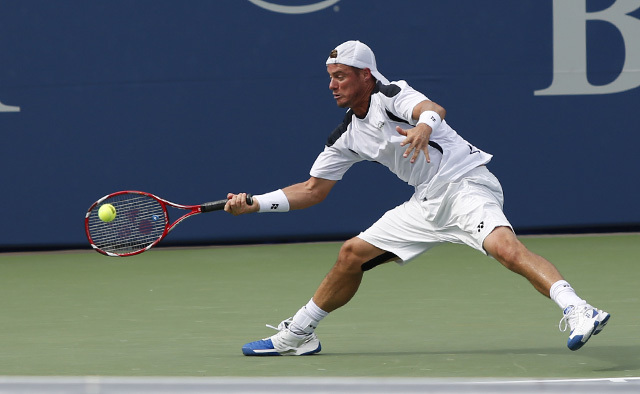 Playing in the opening match on Stadium Court, Hewitt used a well-worn and comfortable strategy: look for opportunities to put pressure on the server. The Frenchman only won 37 percent of his second serve points.